There are many different reasons to choose a vehicle, but the Subaru difference just might be the most compelling reason of all. Our commitment to designing and engineering high-quality, safe, fun-to-drive vehicles is second to none. Our approach is designed to give the Subaru driver an unsurpassed level of confidence behind the wheel. This dedication has also helped us to consistently rank as one of the industry’s top manufacturers. But there’s no need to take our word for it; just read on and learn about all the awards and accolades Subaru has received in the recent past. 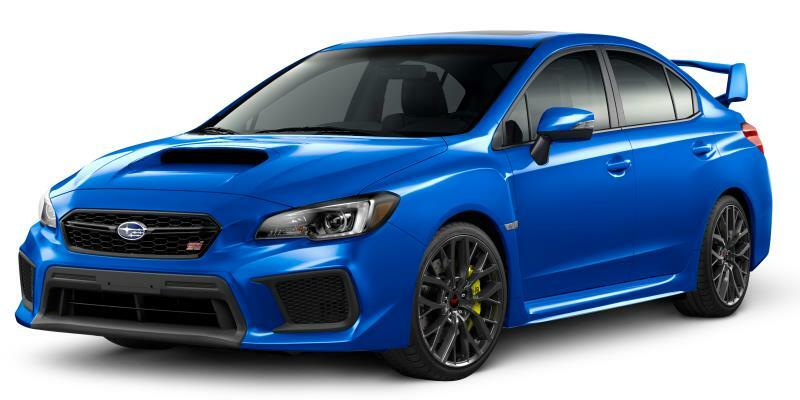 Powered by a turbocharged SUBARU BOXER engine and featuring the world-famous Subaru symmetrical full-time All-Wheel Drive system, the Subaru WRX and WRX STI provide an exhilarating driving experience from start to finish. They are adrenaline-fueled, fun and affordable Japanese sports cars. Introducing the Subaru of three-row, mid-size SUVs—the Subaru Ascent. Built on the Subaru Global Platform, the Ascent delivers superior all-road/all-weather capability through standard Subaru Symmetrical Full-Time AWD, X-MODE, Active Torque Vectoring and a high ground clearance. 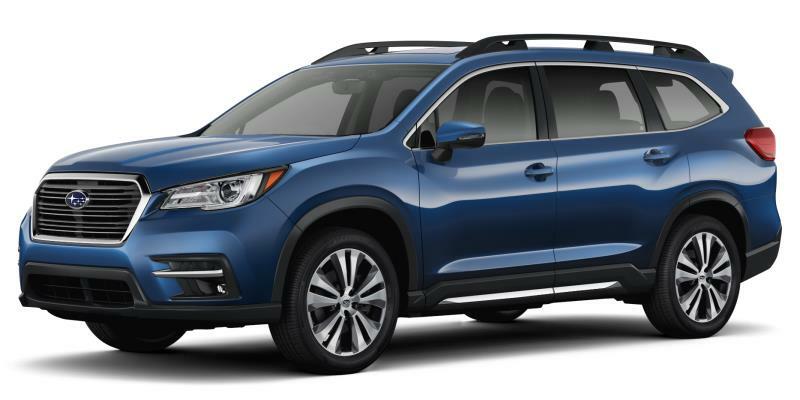 The Ascent also features room for 7 or 8 passengers, plenty of cargo space, a 5000-lb towing capacity and Subaru EyeSight® Driver Assist Technology. The Insurance Institute for Highway Safety (IIHS) is a non-profit organization dedicated to reducing deaths, injuries and property damage that result from accidents on Canadian roads. IIHS has been a leader in finding out what works and doesn't work to prevent motor vehicle crashes from happening in the first place and to minimize injuries in the crashes that do occur. To determine crashworthiness, IIHS rates vehicles good, acceptable, marginal or poor, based on performance in five tests. 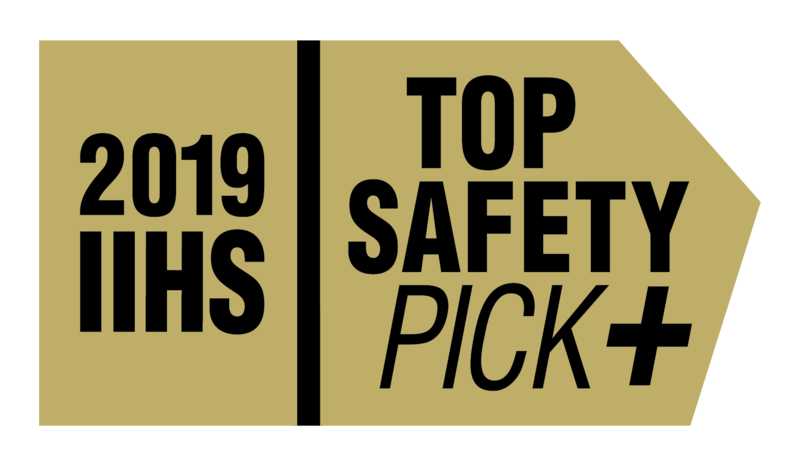 To qualify for 2019 Top Safety Pick+, a vehicle must earn good ratings in the small overlap front (driver-side and passenger-side), moderate overlap front, side, roof strength and head restraints tests. Vehicles must offer, as optional equipment, an autonomous emergency braking system (Subaru EyeSight®) and earn an advanced or superior rating for front crash prevention. Vehicle must also offer specific headlights that earn a good headlight rating. For more details, visit www.iihs.org/ratings. The Insurance Institute for Highway Safety (IIHS) rates models with optional or standard front crash prevention systems as superior, advanced or basic based on the availability of autonomous braking (autobrake) and its effectiveness in 12 mph (19 km/h) and 25 mph (40 km/h) tests. The availability of forward collision warning is also factored in. www.iihs.org/ratings. ALG Canada is an affiliate of ALG Inc and has been the leading provider of automotive residual values and analytical data products in Canada since 1981. ALG is the benchmark for residual values in Canada and its data is used by all facets of the automotive industry for insight into automotive brand health and to determine expected depreciation and monthly lease payments. Canadian residual values are derived after carefully studying segment competition, historical vehicle performance and industry trends, and are based on analysis using only Canada-specific resale and pricing data. ALG unveiled its inaugural Canadian Residual Value Awards in January of 2009, identifying the top new vehicle makes and models expected to best hold value at lease-end. 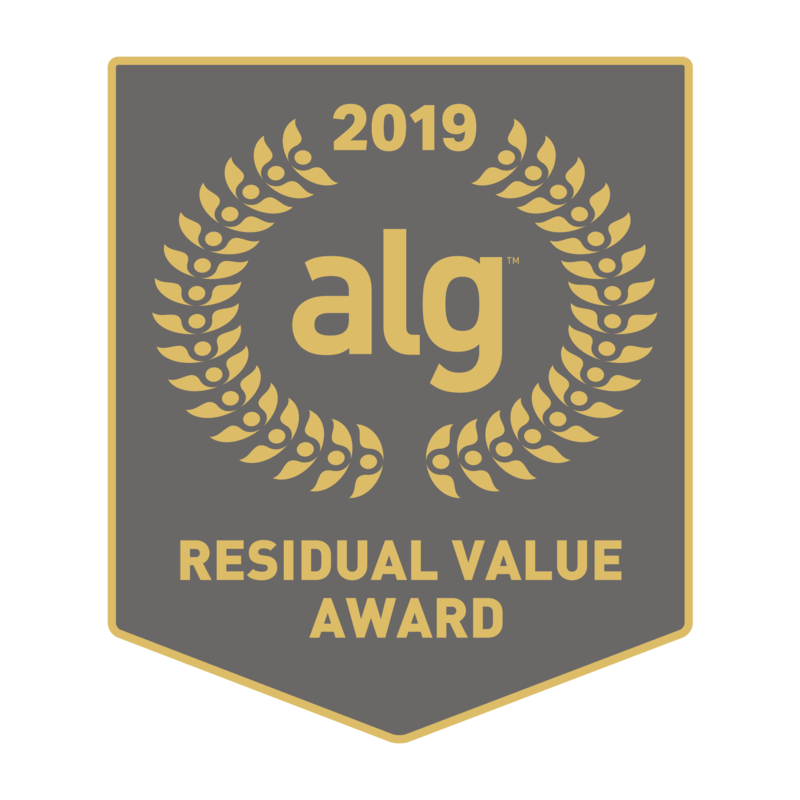 Each year, the ALG Residual Value Awards recognize the brands that deliver a complete product experience to their customers– exceptional vehicle quality, strong brand desirability and long-term reliability. Canadian Black Book has been a staple of the automotive industry and a trusted source for used car values for over 50 years. Canadian Black Book makes new and used car values available to consumers by assessing vehicle trade-in value, future value and average asking price. To judge contenders for the award, MOTOR TREND's editorial staff conducted an exhaustive three-phase testing process. Phase one includes a full tech check and weigh-in, then full track testing to establish baseline data for acceleration, braking, and handling. Phase two involves three days of road loops offering a range of road surfaces and traffic conditions to evaluate ride and handling, engine and transmission smoothness and responsiveness, wind and road noise, and ergonomics. A dirt-track section tests traction, stability, and braking control systems. In the third phase the judges debate and deliberate. Design Advancement - well-executed exterior and interior styling; innovative vehicle packaging; good selection and use of materials. Engineering Excellence - total vehicle concept and execution; clever solutions to packaging, manufacturing and dynamics issues; cost-effective tech that benefits the consumer. Performance of Intended Function - how well the vehicle does the job its planners, designers, and engineers intended it to do. Efficiency - low fuel consumption and carbon footprint, relative to the vehicle's competitive set. Safety - a vehicle's ability to help the driver avoid a crash, as well as the secondary safety measures that protect its occupants from harm during a crash. Value - competitive price and equipment levels, measured against those of vehicles in the same market segment. The evaluation process for the Canadian Car of the Year Awards (CCOTY) is based on "real-world" back-to-back testing so that the results have relevance for consumers. In other words, the rigorous testing program includes "real world" driving on public roads – exactly where consumers drive - so that the test, and vote, results are relevant to potential car and truck buyers. Every member of a test team compares each vehicle in its class, back-to-back, on the same roads, under the same conditions to ensure objective evaluation. Team members use a detailed rating form, comprising 21 separate evaluation parameters that include acceleration, braking, vehicle dynamics, maneuverability, even off-road capability, where applicable. Each parameter is rated using a prescribed 0 – 10 rating scale. Every detail, from safety features to cargo capacity, is thoroughly scrutinized, discussed, and individually rated by secret ballot. Those ballots are then tabulated by the international accounting firm KPMG. The results are kept confidential — even from AJAC — until the awards press conferences wherein the category and overall winners are announced. Auto123.com is Canada's leading automotive web portal for news, reviews and independent road tests. It was created for informed drivers and car enthusiasts alike by a dynamic team of specialized journalists, columnists and multimedia professionals. 4The Insurance Institute for Highway Safety (IIHS) rates models with optional or standard front crash prevention systems as superior, advanced or basic based on the availability of autonomous braking (autobrake) and its effectiveness in 12 mph (19 km/h) and 25 mph (40 km/h) tests. The availability of forward collision warning is also factored in. 5To determine crashworthiness, IIHS rates vehicles good, acceptable, marginal or poor, based on performance in five tests. To qualify for 2019 Top Safety Pick, a vehicle must earn good ratings in the small overlap front (driver-side), moderate overlap front, side, roof strength and head restraints tests. Vehicles must also offer, as optional equipment, an autonomous emergency braking system (Subaru EyeSight®) and earn an advanced or superior rating for front crash prevention. Vehicle must also offer specific headlights that earn an acceptable or good headlight rating. For more details, visit www.iihs.org/ratings.